Allergy Therapy is a simple, non-invasive method of identifying and treating illness or symptoms resulting from food intolerance/allergy. Using a series of muscle tests (kinesiology) it is possible to pick up imbalances in the body, and also to test for sensitivities to foods and chemicals. Once any allergies are confirmed, a full-personalized nutritional programme is devised, which will help patients to reach optimum health through natural means. By correcting any nutritional imbalances, we can change the body’s chemistry to encourage a general feeling of well being, and alleviate many illnesses both mild and chronic. Mary holds diplomas in Nutritional Medicine, Allergy Therapy, homotoxicology, Iridology and Ayurveda. Her training in Nutritional Medicine encompasses elements of Naturopathic Medicine, Homeopathy, Chinese Medicine and Ayurvedic Medicine in addition to nutritional science, physiology, anatomy and chemistry. The initial two hour consultation consists of a full nutritional diagnosis, allergy testing (using kinesiology) and Iridology (iris diagnosis) and tongue and pulse diagnosis. Laboratory diagnostic testing is also used when considered appropriate. Mary qualified in 1994 and has been in private practice ever since. 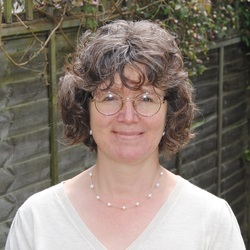 She runs the Nutrition module on the Allergy Therapy Diploma course and is currently updating this course in order that it can obtain naturopathic status. She also runs regular cookery classes and a gluten free support group. Mary is particularly interested in hormonal imbalances such as hypoglycaemia; hypothyroidism; polycystic ovary syndrome; adrenal exhaustion; pre-menstrual syndrome; menopausal symptoms obesity and infertility. Mary runs a pre-conceptual care programme in conjunction with the charity 'Foresight' and has recently worked with a sports therapist to develop a programme designed to regulate weight, balance hormone levels and change body composition in order to reduce the risk of heart disease, high cholesterol and diabetes.